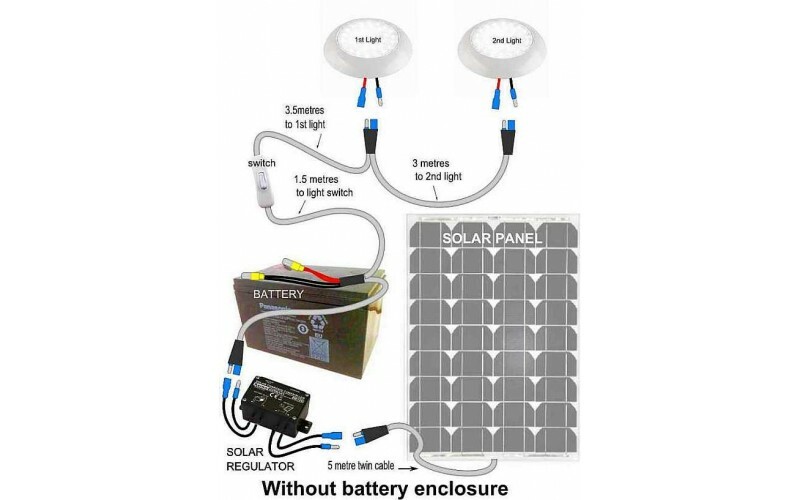 This solar light kit is similar to the single solar light but with two lights and a larger solar panel and battery. 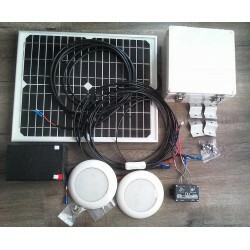 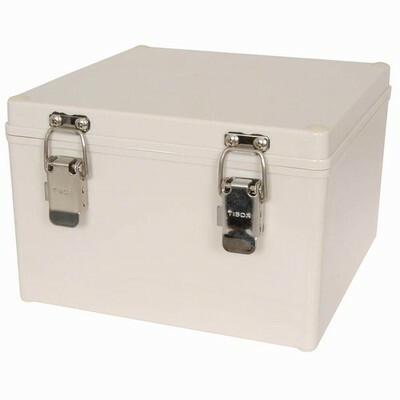 It can also be installed in a shed or used to provide outdoor lighting. 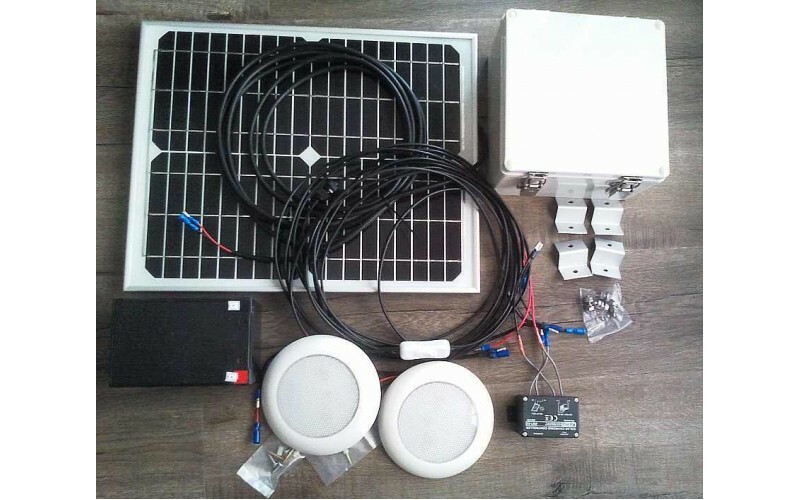 The two lights can be used continuously for 7.5 hours on a fully charged battery. 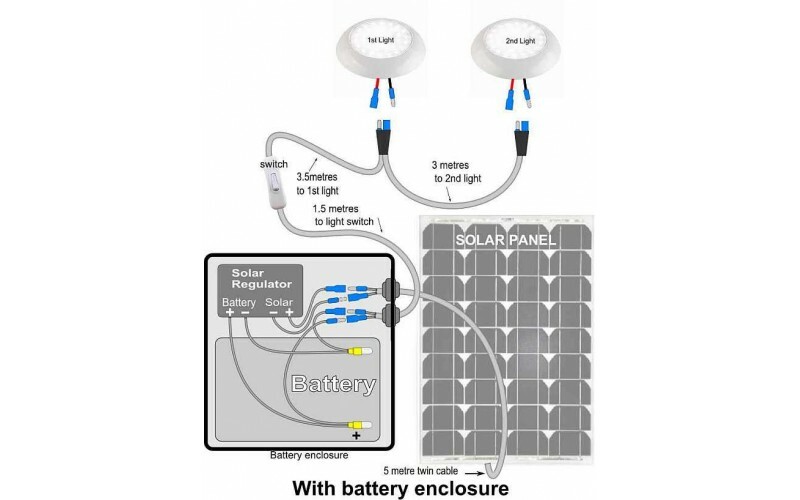 In everyday use it will provide lighting for 2.5 hours and still have reserve power for another 2 days, which may be required on overcast days when the sun does not provide enough solar power.